Do you want to train in the next big treatment to sweep the United Kingdom? This is the future for colouring brows and is going to be huge. Henna for brows is amazing, comes in 8 colours to suit all hair colours and the colours are so deep and rich. The colour can last up to 21 days on the hair and 5 days on the skin depending on your client. You will never tint brows again after training in this treatment. The kit includes all 8 colours and each colour has enough for 15 treatments. The cost for this treatment works our around 60p so the profit margin is Big! You can create ombre, build the brow and stain the skin, you will not be disappointed. Discover Henna, the future of brows. 8 colours from blonde to black and each colour has 15 treatments in each box. This is all you require, no fancy shampoos finishing preps.. no need .. it’s the most advanced system on the market. No more added time.. this system truly works. 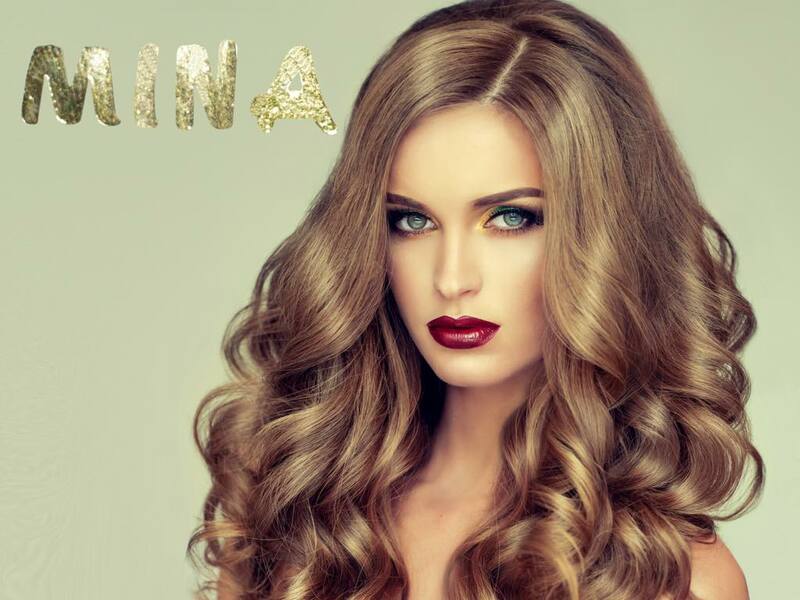 Our Mina Brows Trainer has been trained by Kerry Hoy, who is the sole distributer for Mina Henna Uk and Ireland. Kerry knew that there was a market in colouring, and that it was time for change. She researched for a year and found where Henna was actually produced from a plant and made into Brow Henna. 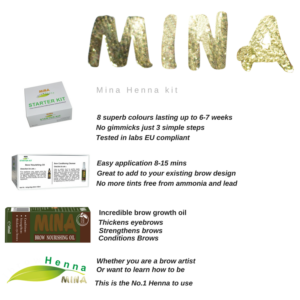 She is working closely with the Mina I Brow Henna C.E.O in India, and will be distributing for the UK. Kerry has travelled the world with brows and her training and knowledge is excellent. This is a professional half day Henna brow Course. On this course you will learn all the theory on the amazing henna, mixology and applying henna. No model is needed for the day on group training days as students are required to work on each other. A patch test need to be sent out before your training day. A model is required for One to One training. You can supply your own or we can also help with this. Your certificate will be issued once you have carried out 2 successful case studies and sent the pictures to your tutor. This is a half day course which usually runs 10am to 2pm for group training. (will vary for one to one training). PRICE: £250 (includes starter kit).